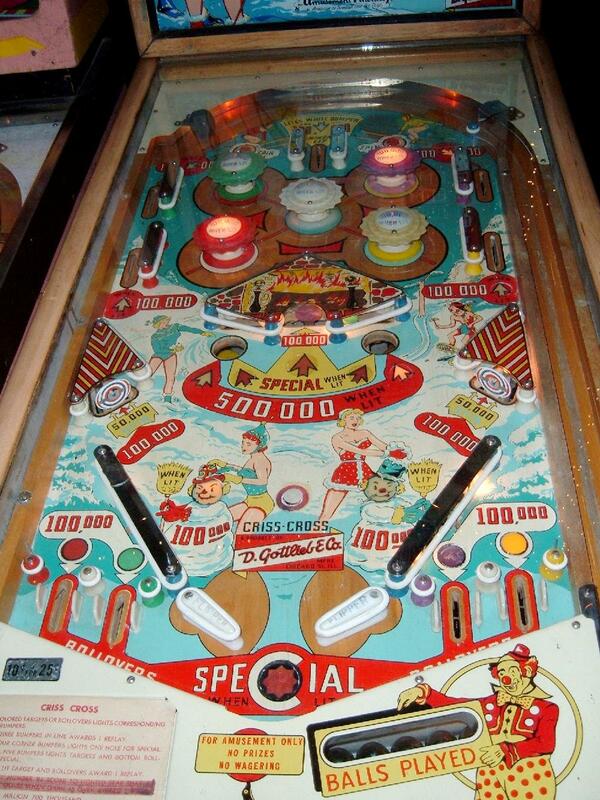 Description: Criss Cross, 2/58, 1900 produced, 2 gobble holes, roto-target, two bullseye ("center score") targets, where a metal target has a very small center "point" that gives a higher score if the shot is "dead on center". 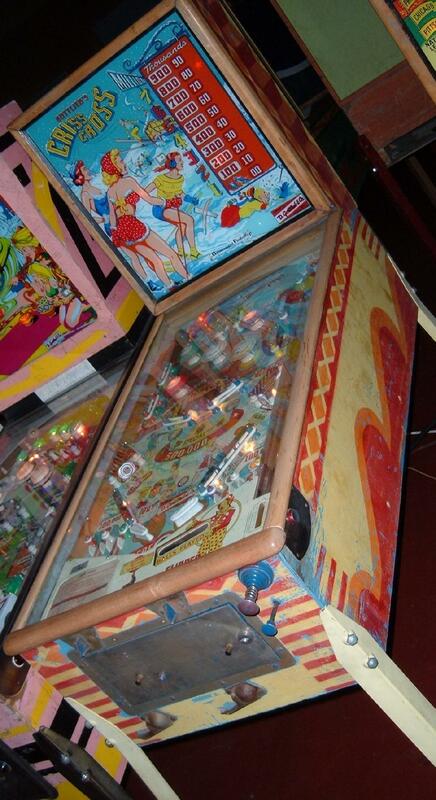 Woodrail pinball, artwork by Roy Parker. 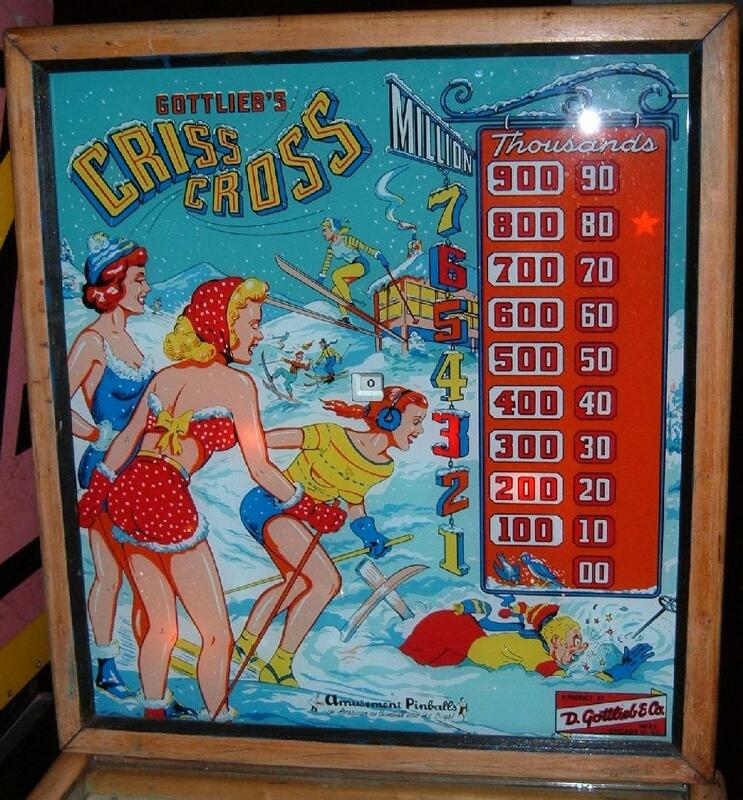 If you have a Gottlieb CrissCross pinball for sale, please contact me at cfh@provide.net.